There are many ways to address recurring, unpleasant smells in your home. Some of the most common methods for eliminating odors include air fresheners, opening windows, taking out the trash, scooping the litter box, or not smoking indoors. Usually, it comes down to covering up or ventilating the offending smells. But what about removing the odors entirely? One of the most effective solutions for ridding your home of disagreeable smells is to invest in an air purifier. 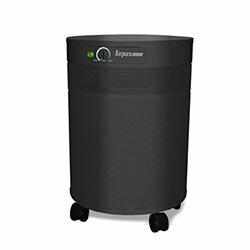 Air purifiers get rid of unwanted smells and provide fresher, cleaner air. Below are the best air purifiers for eliminating odors, as recommended by our team of experts. Purifiers are powerful appliances that filter odors out of the air. This makes them perfect for situations where it may not be possible to completely control the source of the bad smell. Sure, you may have a diaper pail or may scoop the cat litter box every day, but your diaper pail doesn’t seal in 100% of the odors, and you can’t scoop the litter box every 10 minutes. In these situations, an air purifier is an excellent complement to the cleaning that you’re already doing. Air purifiers work at removing odors by using one of two key methods: either adsorbing the odors or neutralizing the odors. The two key components for this are activated carbon or an odor neutralizing compound. In each situation, a part of your filter is slowly being used up in the process. The HEPA layer in your air purifier is kind of like a net. Although it gets plugged up over time, it can continue to capture some particles even after it’s time to replace the filter, it will just do it less efficiently. However, the odor removal component of your filter is like baking soda in a fridge. Once the baking soda has fully reacted, it’s no longer able to remove odors. This is why it’s important to choose an air filter equipped with odor-fighting technology, such as the Alen BreatheSmart 75i with the TrueHEPA OdorCell filter. When choosing an air purifier to remove odors, you need a large volume of activated carbon or odor neutralizing compounds in order for it to be effective for an extended period of time. A thin activated carbon pre-filter simply won’t have the capacity necessary to absorb odors for very long. While your filter may be rated at 12 months, the odor removal capability may be completely gone after only 1 month if you go with a low-cost solution. Lower cost units under $150 rarely come with a large volume of activated carbon or odor neutralizing powder, and are therefore not effective for an extended period of time. If you have a serious odor concern, you’ll need to change your filter much more frequently or upgrade to a unit with a large capacity filter. What Type of Odor Are You Looking to Remove? Air filters are great for pet allergies & dander, but may not have a significant volume of odor removal compounds. If you’re looking for an air purifier that will eliminate pet-specific odors, you’ll want a unit that expressly states it removes pet odor. See more specific pet air purifier recommendations here. Concerned about chemical odors from cleaning products, building materials, or other sources? Odors produced by chemical compounds or VOCs are best removed by air purifiers with large volumes of activated carbon. Remove chemical odors with these air purifiers. Smoke odor can come from multiple sources, such as cigarettes, wildfires, and wood burning stoves. Depending on the type of smoke and your proximity to it, you may want a unit that will also remove smoke-related chemicals, and not just the ash and soot. Take a look at our solutions for cigarette smoke and wildfire smoke. Are you dealing with diaper odors or even body odor? Children and teenagers can produce all kinds of unpleasant smells. If you want your home to smell fresh and clean, consider investing in air purifiers for your home. Talk to an expert at AirPurifiers.com about your concern. Call or chat us during business hours, Monday-Friday 8am-6pm CST and Saturday 10am - 4pm CST.